As our parents age, a difficult transition begins. The people who were once our authority figures, the ones who fed us, took care of us and taught us right from wrong, become people we worry about and may one day need to take care of. It’s the ultimate role reversal, and one that most of us have an extremely difficult time making. The result is a communication gap—a whole series of conversations we should be having with our aging parents, but aren’t. Data and insights from a 2014 Caring.com survey of more than 1,300 caregivers reveal a range of important topics, from financial issues to medical care to long-term living arrangements, that families are failing to discuss. 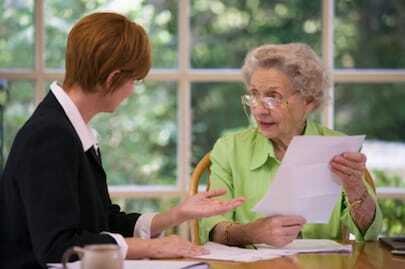 We’ve compiled this guide to help you navigate through some of the most crucial talks you should have with your aging parents as well as extensive expert advice on how to best broach these challenging topics. The challenges of communicating with an aging parent can be intense and multi-faceted, and the list of hot-button topics of conversation can seem overwhelming. It’s understandable that you may be anxious about having a whole host of awkward discussions, which can include everything from your parents’ ability to continue driving to the challenges of estate planning, long-term care and even end-of-life plans. But don’t worry—you’re far from alone in this. 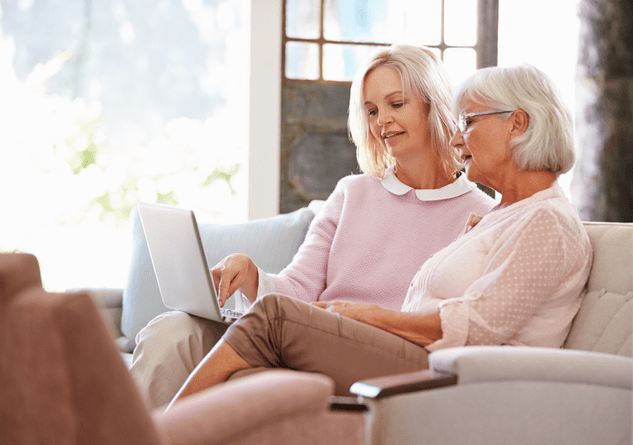 What follows are a handful of common difficult topics to discuss with your aging loved one and some insights on why it’s critical to get them out in the open. Are Your Loved Ones Still Safe to Drive? Get a group of 40- or 50-somethings together, turn the topic to aging parents, and the issue of driving is likely to be one of the first concerns they mention. And for good reason; there are some scary statistics coming out about aging and driving. According to the Centers for Disease Control (CDC), 500 older drivers are injured in accidents every day. 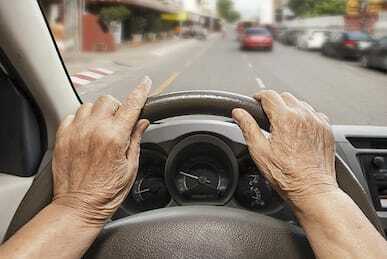 The American Automobile Association (AAA) says senior drivers are second only to teen drivers in having the highest crash death rate per mile driven, which is particularly startling given that seniors drive far fewer miles than teens. And AAA records show that deaths from auto accident are 17 times higher for seniors than for adults 25 to 64, because older adults have more health problems to begin with, making them far more vulnerable. But how do you tell your parents—the ones who taught you to drive—that they shouldn’t be behind the wheel? Well, in many cases, it seems, you don’t. Older children have more trouble bringing up this issue than they do discussing subjects that on the surface seem like they might be more touchy. An annual survey conducted by Caring.com shows that adult children are more willing to talk about dying than driving. Just 56 percent of Caring.com users had raised the subject with their parents. When you’re ready to talk about the issue, there’s plenty of good information available on how to know when it’s time to take away the keys, how to frame the conversation and what to say. Do Your Parents Have a Will or Trust? If there’s one age-related issue that enormously impacts all generations, it’s estate planning. After all, when someone dies without a will or trust, the estate goes through probate—which means a large percentage of its value is lost in taxes and court fees. What’s more, if your parents die without estate planning, their assets will be divided among all living relatives, rather than going to the people they wanted to receive them. There are additional issues to consider as well. If your parents have a family home they wish to keep in the family, a trust may be needed to make that transition smooth and problem-free. Given these facts, you would think that estate planning would be a standard topic around the dinner table as family members age. But it’s not. According to a national survey conducted by Rocket Lawyer, a legal referral site, 64 percent of Americans are currently without a will or trust. And even among Americans ages 55 to 64—for whom the issue presumably should be a priority—only 51 percent have made a will. Just as important, annual surveys by Caring.com show that only half to 57 percent of adult children have discussed estate planning with their aging parents. If you’re not sure if your parents need a will, a trust, or both, consult an attorney—many offer an initial consultation free of charge. If this is out of reach, at least make sure your parents put their wishes in writing, witnessed by others. There are many books and websites available to help them get started on the process. 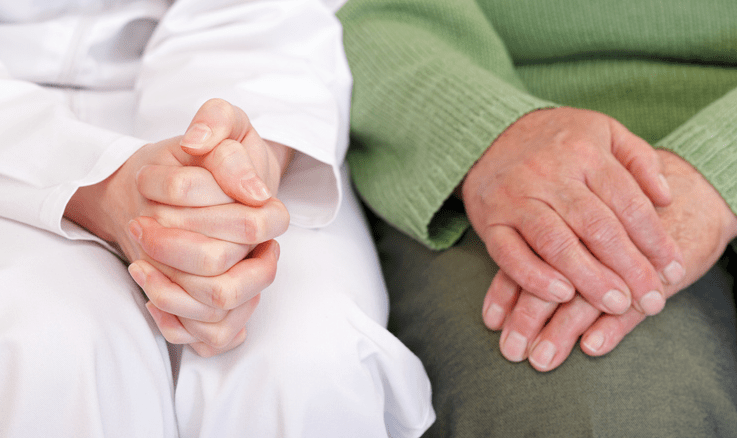 Do Your Parents Have a Plan for Long-term Care? It’s not easy to bring up the fact that the parents who have cared for you all your life may someday not be able to care for themselves. But it’s a reality nonetheless. Americans are living longer every year, and many will age beyond their ability to live independently. Sadly, many older adults have trouble facing the changes and losses in ability that come with aging. While some seniors know their memories aren’t as good as they once were or that they’re no longer able to keep up with important responsibilities, others may lack awareness that things are slipping through the cracks. Still, it’s not an easy topic to bring up—and many people aren’t doing so. According to a Caring.com survey, only 45 percent of adult children have discussed with their aging parents what they plan to do when they can no longer care for themselves. And only 30 percent have discussed how their parents will pay for care as they age. Then there’s the related issue of where your parents will live. For many seniors, their first choice is to remain in their home and age in place, but for many this isn’t a realistic option. The home may have safety issues, be too far away from needed services, or be too expensive and difficult to maintain. Yet only 43 percent of families have discussed if and when aging parents should move out of their homes. Studies show that one in three adults over the age of 75 has enough cognitive impairment to mishandle or fail to take care of important financial issues, Dybnis says. One misstep in an area like this can cost your parents dearly; failing to make mortgage payments or pay property taxes could lose them their home, for example, while failing to take medications could lead to a heart attack or other serious health problem. Falls are perhaps the biggest risk of all for older adults living on their own. Many common medications can cause dizziness as a side effect, increasing the likelihood of falling, and the weakness common to aging also leads to falls. If your parent lives alone she may take inappropriate risks, like climbing on a chair to change a light bulb—or she might simply forget to turn on a light at night. And once an older adult takes a fall, it can trigger a cascade of health consequences from which she may not fully recover. Once you introduce the subject of a long-term care plan, don’t forget to discuss the cost of care as well. Bringing the subject up earlier rather than later increases the chance that long-term care insurance will be within reach. And care planning will greatly influence how your parents save and spend the resources—including real estate—they have available. Think of it this way: The longer you wait to discuss your parents’ long-term care plan, the greater the chance that they’ll wind up living with you. Of course, for some people this is an excellent solution, and one that everyone’s happy with. But it’s not a decision you want to make because you have no other option. Do Your Parents Suffer from Challenging Health Issues? As our parents age they will inevitably suffer from some type of challenging health issues. This can include everything from incontinence to heart problems, cancer or dementia. But sticking your head in the sand isn’t going to make these issues go away and will ultimately do more harm than good for your loved one’s long term wellness and quality of life. And that’s why you need to have frank, honest, and patient conversations about these issues. Make contingency plans. “Live in the moment” is good advice to help you manage stress, but don’t do so at the expense of a little advance planning. Once a week, devote an hour to focusing on “if this, then this” scenarios, and communicate those to your parents. This helps you at least begin the process of considering where you might find more help, what kind of home modifications would help and how you’d get them done, alternative living situations, and so on. Make lists of your options, or of places and people you can contact to solve potential problems common to your situation. Learn as much as you can about your loved one’s conditions and how they typically progress. We are sometimes reluctant to “read too far ahead” for fear we can’t relate to later disease stages. We can also succumb to the fear of “jinxing”—worrying that if we think or talk openly about something, it might come true. Diseases are realities, not wishes. Ask your loved one’s doctor to be candid about the prognosis and course of the disease, read info online, and ask for advice from others who’ve been there. If your loved one has dementia, understand the various stages, where your loved one likely is, and what to do next. Caring.com’s Steps & Stagesprogram, for example, provides weekly advice about stage-specific problems while providing peeks ahead and information about what to prepare for next. If you’re wondering how to start a discussion with an aging parent about a sensitive topic, you’re not alone. But whether you need to talk about moving, giving up driving, or bringing in help, knowing which words to use and to avoid can improve the odds of moving toward solutions. Even if, in the past, your parent was sharing and receptive, this can change due to aging-related issues such as depression, creeping dementia, lowered self-esteem, or other frustrations. On the other hand, a close-lipped parent may be relieved to talk because he or she is worried, too. What to say about sensitive subjects can also be tricky because you have different goals. Geriatric communication expert David Solie, author of How to Say It to Seniors, notes that adult children want to solve the problem and move on. Their parents, however, want foremost to maintain a sense of control and dignity in a season marked by many losses. Your goal in how to have “the talk”: Balance both sides’ needs by moving forward slowly and with care. Check out a few places on your own so you have concrete examples to talk about. “In general, most people have more difficulty with abstract conversations about assisted living,” Robbins notes. If you live in a different city, you can read reviews about options and make appointments to check them out when you’re there, or consult a local geriatric care manager to get recommendations. Don’t think of it as being “sneaky”—it can be less anxiety-provoking for your parent if you present winnowed options. You can always go through the whole list of choices together if he or she prefers. Closely observe what activities your parent is having trouble with. Look around the house for concrete signs he or she may not be faring well independently. Start to research sources of in-home care help and costs. Watch your parent drive, looking for signs of an unsafe driver. Research the alternate transportation services in your parent’s area or explore other ways he or she might get around if there’s no personal car. Observe what specific kinds of limitations you’re seeing: Trouble climbing stairs? Cooking? Managing finances? Grooming? Thinking in terms of specifics helps you figure out the best solutions, as well as be able to describe the problem accurately to your doctor (and your parent). Also before you start the conversation, take time to get a sense of whether your parent is open to it. You can do this by first introducing an unthreatening related topic—by phone before a visit or, if you see your parent often, in a separate visit. This isn’t yet the time for hot-button topics, criticism, or anything contentious. Stick to the positive and general. Does he or she respond openly? Defensively? Evasively? This will give you important insight into how to proceed. Even if, in a test-the-waters chat, your parent sounds receptive to discussing a tough issue, it’s usually best not to plunge in yet, Robbins says. In this first talk, you just want to float the issue, not problem-solve. You want to show in a respectful way that you can be a helpful, nonjudgmental resource. What if your parent resists any talk about his or her future? Pause to consider whether this conversation is best had by another party. Robbins says that a neutral third party—a doctor, a family friend, a cleric—is often better suited to bring up tricky topics like driving or whether to live independently. These people can lay the same groundwork, explaining what seems to be wrong and suggesting options for fixing it, without risking a strained relationship in the way an adult child does when a parent is especially resistant or feels manipulated. So you’ve done some homework and gotten a sense of how ready (or indifferent) your parent is. How do you take the plunge? Plan to start the conversation on a different day from your test-the-waters chat, in person if possible. This feels less threatening and overbearing, and more natural. “Don’t get critical the minute you walk in the door. Focus on connecting and having fun,” Robbins says, “while also using this time to observe.” You may be on a mission to resolve the problem, but you’ll have a more ready audience if you first take the time to enjoy one another’s company before diving in. The best time to segue into a serious conversation is when your parent brings it up first and asks for your help. Failing that, look for an opportunity when everyone is relaxed. Then take the plunge. Describe what you’re seeing. Use reflexive listening, which is an effective communication technique for difficult conversations. Rephrase what your parent says, as a way of playing back that you understand—making your parent feel supported—and then move the conversation forward. Realize that some older adults can’t articulate the real issue. They may shy from change, perhaps because they fear what it would be like or they lack the energy to deal with it. Often they avoid making a change not because of their own preferences but because they worry about upsetting someone else. Find ways to be reassuring, talk up the positives, or stress how the solution is good for everyone. To help with resistance, focus on the solution. Or, look for the underlying cause. Some people push back for a specific unmentioned reason, which may be emotional, physical, or cognitive. Maybe Dad doesn’t want to talk about moving because he thinks he can’t afford it. Maybe Mom lacks the cognitive ability to realize she can’t live alone. If the person is very resistant, “the most successful person to have the conversation is not usually the adult child,” Robbins says. A family friend or doctor may have better luck. The goal is to encourage more input and to keep the discussion positive and collaborative. If you want a parent to consider an assisted living option, Robbins says that with some people, one option is to casually drive by the best place you’ve identified through prior research, and suggest dropping in together to have a look. Better yet if you have a logical pretext—visiting a friend’s parent, stopping to see a “friend” who works there, participating in an activity or meal you’ve prearranged. Make sure it’s a place you’ve prescreened so that you’re pretty sure your parent will find things to like. Even if there’s not much choice, lay out the options and their pros and cons, strategize solutions to the biggest problems, and let your parent draw his or her own conclusion (assuming dementia is not an issue). Whatever you do, don’t launch an aggressive “sell” on your favorite option the minute you get back home or the next time you talk. Don’t push for making a decision right away. Try not even to hint or nag at first. If your parent mentions the conversation at all, use this as a wedge to revisit the matter in a supportive way. Take it as a positive sign that he or she is at least aware of the issue and thinking about it. Go over the facts as well as the solutions again in a nonthreatening way. Don’t fall into an argument. Be patient and try to get at the underlying concern. Is it fear of running out of money? Is it a feeling that admitting help is necessary is also admitting failure of some kind? Look for ways to address and support the concern. Maybe you give a weekly cleaning service as a Mother’s Day gift “because I don’t know what else to get you and you deserve to be treated like a queen,” for example. After some time passes, if your loved one doesn’t give you an opening, you can try bringing up the issue again in a test-the-waters way. If your parent is of sound mind but just making decisions that you disagree with (not endangering ones), all you can do is continue the conversation in a positive way. Any choices are ultimately his or hers. You may not like the choice, or you may end up needing to revisit the matter later, but you can’t make the decisions for him or her in that case. What you can do, Robbins says, is to remain upbeat and supportive, even if you’re frustrated or worried. This keeps you a welcome sounding board as your parent moves, however slowly, toward resolution. Remember that transitions involve an ongoing dialogue. Difficult as that first conversation about a sensitive topic is, it’s only the first of many you’re likely to have as you strategize your way toward a solution that everyone can feel better about. Those of us who are caring for elderly parents are often bewildered by the decisions they make—and by their seemingly stubborn refusal to follow our advice. We shake our heads over their obsession with the past, their caution, and the glacial pace with which they make decisions and move through the world. As much as we love our parents, dealing with them can often be fraught with tension and frustrating, as we try to bridge a communications gap as yawning as any we’ve experienced with rebellious toddlers or teenagers. Part of the problem is that we tend to think about our elderly parents as more wrinkled, less capable versions of the people they used to be. As a society, we take it for granted that old age is a time of decline rather than development and personal growth. But experts who study the psychology of the elderly paint a richer, more complicated picture of aging. It turns out that aging involves distinct developmental stages and that elderly people have pressing life tasks they need to accomplish if they’re to end their lives with resolution and meaning. 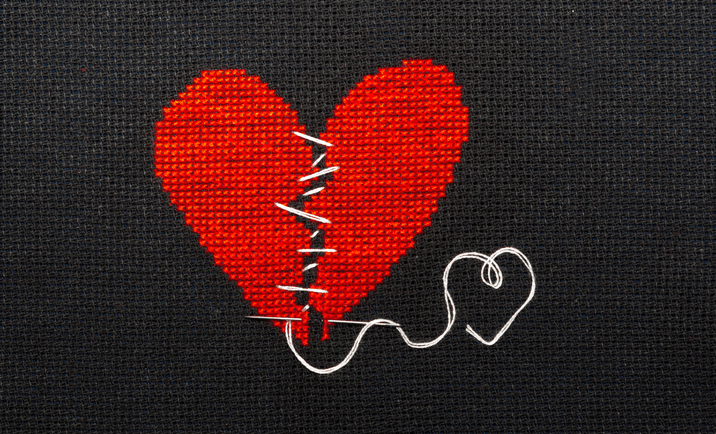 It’s true that aging is challenging and painful—probably more painful than we can conceive. But the experience of aging can also be fulfilling and profound if it’s approached with insight and clarity and with the support of caring children and loved ones. By understanding your elderly parents’ experience, you’ll be better equipped to communicate with and help them—so they’ll enjoy an old age you may wish to emulate when your turn comes around. According to theories of human development formulated by psychologist Erik Erickson, humans go through distinct stages as they grow from infant to adult. These stages are dominated by what Erickson called “crises,” that is, the conflicting impulses that drive us and facilitate growth. It’s by resolving these crises that we’re able to move on to the next developmental stage and eventually grow into mature adults. Much research has gone into understanding and explaining the stages children go through, and this work has helped to shape our modern theories of child development, as well as our contemporary approaches to parenting. Much less attention has been paid to the experience of older people, but geriatric experts contend that humans continue to face developmental tasks into old age. In his book How to Say It to Seniors , author David Solie, who specializes in geriatric issues, describes the developmental tasks that the elderly face, and explains how these tasks shape their behavior—whether they’re aware of it or not. Solie describes the crises of the elderly as a conflict between control and legacyissues. And while he writes in universal terms, it’s important to remember that every individual is different, and each person’s experience of aging will have a lot to do with personal and environmental factors, as well as developmental ones. Control looms large for our parents as they experience the deterioration of their physical health and mental acuity, as well as the loss of their homes and independence and the deaths of friends and life partners. Given these monumental losses, it’s no wonder that elderly people tend to fight for control over the few areas of life they’re still able to manage. Even as they struggle to accept and come to terms with their losses and to hold on to what remains, older people are engaged in an effort to shape and understand their legacy—that is, to comprehend what their life has meant and the memories that will live on after they die. Coming to terms with one’s legacy is a tremendous job, according to Solie, and has a powerful effect on a person’s actions, whether he’s aware of it or not. Helping an elderly parent identify and create his or her legacy can also be a tremendously healing process, and it can mean the difference between lonely, alienating final years or deeply rewarding ones for parent and child alike. By coming to grips with the developmental tasks that preoccupy elderly people—and how these tasks conflict with our own middle-aged agendas—adult children can more effectively communicate with and support their aging parents. Solie, who’s working on a book about the developmental stages of middle-aged adults, points out that our middle age agendas are often in direct conflict with those of our parents. We’re juggling a million work and family challenges and like to move quickly and efficiently through the world, accomplishing one task after another and checking it off our “to do” lists. It’s no wonder that our parents’ reflections on the past and their reluctance to make decisions exasperate us. In addition, given our youth-oriented society, most of us are on a permanent quest to remain young (or at least young-looking). So it’s no surprise that we have little tolerance or empathy for those who’ve already reached the place we have no desire to go. You’re trying to talk to your widowed father about where he’s going to live now that his health is failing. You’re in a hurry to get the matter resolved, but your father keeps drifting off the subject to tell stories about how he found this house years ago when he and your mother were newlyweds. Your father is consciously or unconsciously engaged in the life review process as part of understanding his legacy. As he contemplates leaving this house for good, he’s looking back on all this house has meant to him since he first moved there with his young bride. Your mother has complained several times that her eyes are bothering her and that she’s having trouble reading at night. Yet every time you suggest making an appointment with her eye doctor, she resists. When you go ahead and make an appointment, she cancels it at the last minute, insisting that her eyes are fine. Over the last few years, your mother has had to give up playing tennis because of her arthritis, and two of her oldest friends, who she often used to travel with, have died. She may be resisting the eye exam in part because she doesn’t want to know if her eyes are failing, as this could mean more restrictions on her lifestyle and loss of independence. Every time you visit your parents, all they seem to talk about is health problems—not even their own health problems, but those of friends, neighbors, even perfect strangers. Don’t they have anything better to talk about? 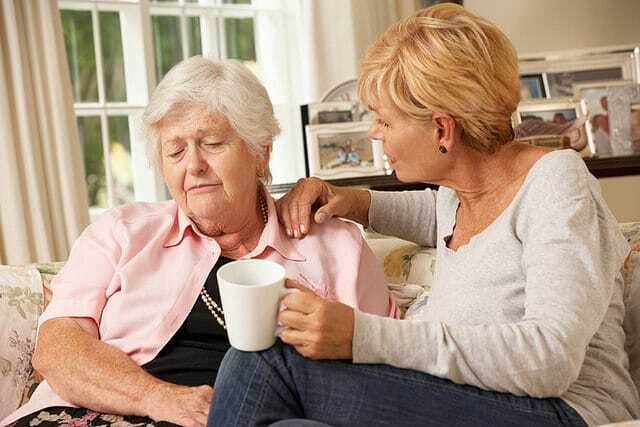 Understanding what your parents are going through won’t make all your frustrations disappear, but it can improve your communication and help you support your elderly parents as they navigate this challenging new stage of life. Solie encourages adult children to sidestep power struggles with their elderly parents whenever possible and to instead try to build a partnership. Your interactions with your elderly parents will be more satisfying and productive if you can carve out substantial time to spend with them, rather than dropping in for five minutes or touching base by phone between meetings at work. Of course, you probably don’t have time to spend hours with your parents every day, but if you regularly make time for lunch, a cup of tea, or a weekend visit if you live far away, you’ll be more likely to have the conversations that reveal underlying concerns and help legacy issues emerge. Make sure to take the time to really listen to your parents. If they bring up something that seems unrelated to the matter at hand, it’s always tempting to interrupt and steer them back on track. But if you pay attention, you may find that a seemingly irrelevant point indicates a concern you weren’t aware of. Encourage your parents to reminisce, and pay careful attention to the story behind the story. If your parents are reflecting on an experience or sharing a memory, try to help them gain more understanding of the experience by asking open-ended questions. For example, if your mom remembers a trip with a beloved sister, ask, “what was your relationship with Aunt Susanna like?” Good questions will help facilitate your parents’ life review process. You can help your parents build a legacy through concrete, communal projects, like making photo albums, interviewing them for an oral history, or making a quilt or other hand crafted object together. You’ll never regret the time you devote to understanding your parents’ experience—and all you’ve done to help them gain a clearer perspective on their lives. Aging can bring happiness, but it’s also rife with tough-to-swallow changes. For many, an aging body and mind means dwindling independence and can feel like a loss of control over important areas of life. It can be hard for worried family members to know what to say in these challenging situations. Luckily for adult children of aging parents, sticking to a few key guidelines can go a long way toward establishing trust and preserving healthy communication within your relationship. 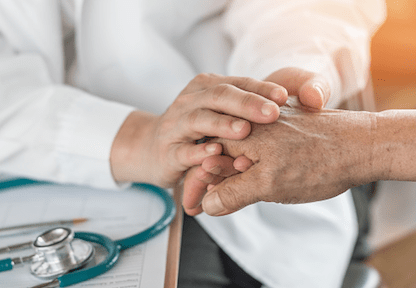 Demonstrating empathy and understanding of their perspective and doing what you can to help is the key to positive interactions with your older loved one, says Katie Darling, a care manager with California-based Specialized Care Management, Inc. When embarking on difficult conversations, she suggests reassuring a loved one that you’re a team and that you’re there to work together, not to make sweeping decisions for them. Side-stepping the following negative conversation starters will also keep the lines of communication open and clear of controversy. Many older adults want to avoid using a cane or walker for fear the appliance makes them look old or frail. “As a result, few will use one unless they understand there is a reason to use it,” says Jasmine Marcus a physical therapist at McCune and Murphy Physical Therapy in Ithaca, NY. “Even people in their eighties will say, ‘Walkers are for old people and I’m not old yet,’” says Marcus. That fear can have older people telling white lies to medical providers when they promise to use the appliance, but then conveniently “forget” to bring it with them when out in public. Help your parent avoid hazards by explaining that you’re worried they might fall and suffer a serious injury, and that using a cane or walker can prevent that from happening, advises Marcus. It’s common for older people to frequently turn—or start—conversations toward the topic of their failing health. 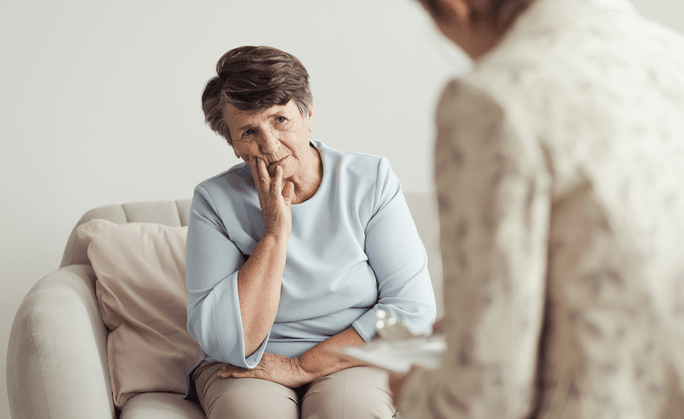 “Family members and caregivers can often become frustrated rehashing ailments over and over,” says Sharon K. Brothers, MSW, CEO and co-founder of the Institute for Professional Care Education, which provides training for assisted living centers. A better response to this popular conversation topic is allowing a limited time for the older person to “vent” about his or her health, demonstrating your compassion and then redirecting them, Brothers says. “After stating you’re sorry they’re in pain or have to deal with managing multiple medicines, ask about a positive memory or experience,” she suggests. Whether you turn the conversation to the successes of the person’s grandchildren, ask about an accomplishment from their past or discuss upcoming travel plans, moving the conversation to a positive topic will ease your frustration. You may be trying to express concern for a loved one’s safety, but to an older person this statement is a sign their independence is in jeopardy. And they’re likely to become obstinate or combative whenever the topic of moving to assisted living or a family member’s home arises. This type of approach may result in you learning that your aging parent has friends or mail carriers who check in daily or that your parent is worried themselves and wants to discuss options like having an emergency alert system installed or considering moving to a care facility. She suggests approaching this topic with an inquisitive tone. “Start the conversation by stating you’ve noticed a lot of reckless driving on the roads and ask if that is as startling to the older person as it is to you,” she suggests. You can segue into talking about the possibility the senior might feel safer cutting down the amount of time he or she drives. In the end, this is a very difficult subject and may require the help of a third party like the person’s doctor, physical therapist, or other professional to explain that it’s safest for everyone if the older person no longer operates a vehicle. “Saving that harsh reality for a non-family member, caregiver or loved one to explain will help preserve the elder’s relationship with loved ones,” says Brothers. Scolding an elderly person as if they were a naughty child is demeaning and disrespectful. “It breaks trust and can lead to passive-aggressive behavior such as ‘forgetting’ to tell children things they should know because the senior does not want their child to boss them around, treat them like a child or try to make decisions on their behalf,” says Teri Dreher, RN, owner and CEO of NShore Patient Advocates, a company that provides case managers to help clients navigate the health care system. While it’s not good to miss doctor appointments, Dreher says doing so is rarely a calamity. Avoid future issues by trying to understand the problem. 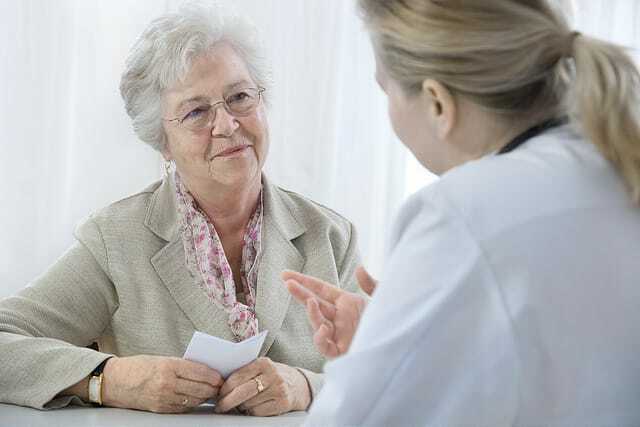 If the missed appointment was initially made to address specific symptoms, perhaps the senior is afraid to get an answer, worrying that they may have cancer or another serious illness. “Talk it through in a loving, supportive manner, and encourage as much autonomy as is safe and possible, maintaining respect at all times,” Dreher advises. You can also help ensure that your parent sticks to his or her health care appointments by offering to take them to the next one. Sometimes difficult conversations can turn into an insurmountable conflict between you and your aging loved one. When this happens it’s probably time to bring in a third party (not the adult child) to facilitate conversation and mediate conflict. This can include additional relatives, friends, geriatric specialists, and even lawyers. If the issue is critical and the person still won’t make a safe choice, it may be time to get a family doctor and lawyer involved to evaluate competency and, if appropriate, activate a power of attorney or appoint a guardian who can make safe choices on the person’s behalf. Thank you caring.com, for allowing us to share your insightful articles!